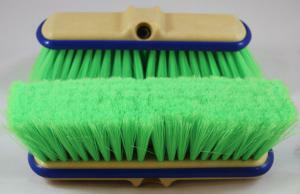 Vehicle wash brush with bumber. Super soft flagged fill. 10 inch flow through block.